Selecting your wedding venue is a momentous decision and most often the very first decision a bride and groom will look to making together after they become engaged. So much else can be decided on once the venue has been set – your venue will set the whole tone and atmosphere of your day and guide you in the style and size of your celebration. We say be true to yourselves and select a venue that you love, where you and your guests will feel at home. We adore everything about Dewsall Court - a truly magical and exceptional wedding venue offering a level of luxury, exclusive use and high quality service we take absolute pride in recommending. Expect a helpful and friendly team behind this elegant and graceful Georgian building that provides the perfect quintessential London wedding venue. Middleton Lodge boasts so many beautiful ceremony and reception options, all packed with character and elegant charm. And we love the attention to detail, right through to keeping things local and seasonal with their in-house chef team. Hooe's Yurts provide the most beautifully produced and exquisitely styled yurts for weddings, take a look through the gallery and fall in love. Restoration Yard is a stunning set of converted stables close to Edinburgh city centre that provides a fabulous blank canvas opportunity to host a wedding. If you are looking for a truly beautiful country house in which to get married, but also to spend the best weekend of your life with family and friends, look no further than Plas Dinam. Set in the most beautiful of environments by the Cornish coast, these cottages can be exclusively hired for weddings of up to 140 guests, 32 of which can utilise the 5* onsite accommodation. Upton Barn & Walled Garden is a stunning, award winning exclusive wedding venue nestled amidst the Devon countryside. A beautiful setting for your unique and special day. This beautiful, family-run venue on the Rushall Organics estate is packed full of carefully-considered touches. We love the stunning views, their attention to detail and their sustainable, eco-friendly outlook. Extensive restoration and refurbishment have provided the glorious Pynes House with a new lease of life, resulting in a most romantic country house Devon wedding venue. A romantic, family run British vineyard venue tucked away in the majestic, rolling Devon countryside and set amidst 20 acres of fields, woodland and organic gardens. The Old Royal Naval College offers an incredibly special space to exchange vows and party with your clients afterwards. Take a look at The Painted Room for a breathtaking backdrop for your wedding ceremony and reception. Simply stunning. Fetcham Park is a truly beautiful venue located in the heart of leafy Surrey and run by Laura Caudery - who is passionate about creating wonderful, meaningful and memorable experiences. Stonor offers an exceptionally beautiful historic backdrop for your wedding. Their website offers stunning birdseye and interior view of this glorious wedding venue. We adore Caswell House, the care, effort and attention to detail that has gone into lovingly restoring this beautiful 15th century manor house is outstanding. The jewell in the crown of Cotswolds wedding venues. With the most glorious views of the River Severn, Elmore court offers a most refined and elegant wedding venue option for those looking to marry in the Cotswolds. The most beautiful of Somerset country houses boasting breathtaking rooms, gardens and a 14th century church. An exquisite choice for any wedding in the area. A chic industrial venue with rustic elegance. Civic House provides you with the flexibility to create your ideal day in the heart of Glasgow. 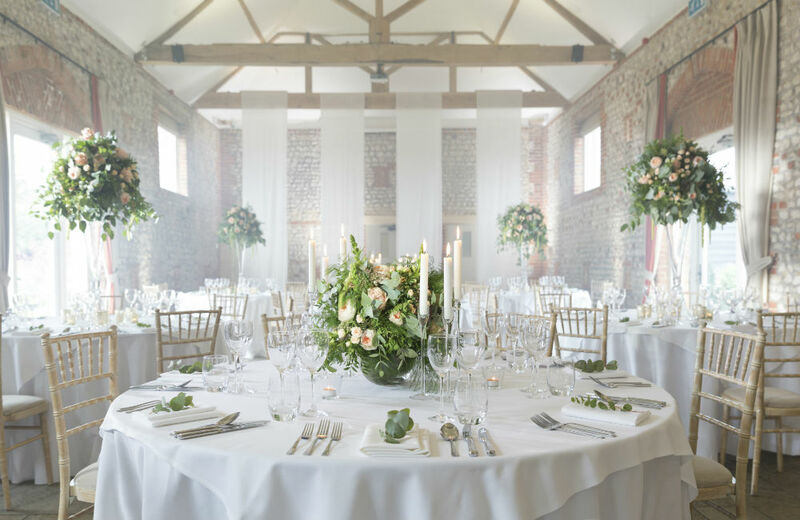 Farbridge is a beautifully restored dairy nestling in the South Downs National Park, which offers light filled versatile spaces, ensuring a variety of options to celebrate your day. A stunning Grade II listed mansion with a contemporary catering service that provides a glamorous and unforgettable backdrop for your wedding celebrations. One of the original suppliers of wedding tents and teepees, PapaKåta offer a selection of gorgeous, super high quality options for weddings. We're huge fans. Right in the heart of super cool Shoreditch in London, you can style your space to bring your vision to life, creating a completely personal wedding day. The West Mill is positioned in a superb setting on the banks of the River Derwent in Derby. It is a magnificent venue lovingly restored from a cotton spinning mill to create a space that offers a relaxed and individual setting for weddings. We adore sharing West Mill weddings on Love My Dress as they are always so full of character.